Non Surgical treatments are very popular for all men and women who want to improve or adapt the look of their skin, body or image. In its London clinic; Epilium & Skin, our practitioners will be happy to propose to you the most advanced available skin care or treatments. Established in Paris, France, the company has years of experience in providing non surgical cosmetic procedures that are effective without risks and complications. While your concern may be wrinkles, dull and eneven skin, pigmentation, loss of volume or also acne prone skin; due to ageing or environmental factors. Or, in addition, unwanted tattoo’s, hair or fat. We have the latest technology, products and treatments available. PRP Vampire facelift, Facial Peels, Mesotherapy, Skin booster, Laser resurfacing with Picosure or Regenlite, Dermal fillers or anti wrinkle injections and also many more. Our Epilium & Skin clients trust us to provide the best result-driven cosmetic treatments. Now you can discover our advanced and safe techniques, delivered by our team of experienced consultants and technicians, using products recognised around the world for both their safety and efficacy. All our doctors that lead the team, have over 15 years of experience to put all their know-how and techniques at your disposal. THE EPILIUM & SKIN CENTRES ARE CONSIDERED FULLY CLINICAL. AT OUR CLINIC WE ARE NOW ABLE TO PROVIDE YOU WITH THE EQUIPMENT AT THE CUTTING EDGE OF TECHNOLOGY. Discover Cryolipolysis by Zeltiq, the latest non-surgical and innovative way to redefine your silhouette and help lose persistent areas of fat. Most of all, especially the areas that seems like they will not shift with a healthy diet and exercise regimen. Hair removal is an aesthetic medical procedure that consequently offers a permanent reduction of hair. As a result, delivers excellent results for many areas of the body. This machine is the first and only picosecond aesthetic laser rather than the traditional Q Switched device. Therefore, it breaks down the unwanted ink into smaller particles. Creating, as a result, easy elimination of all colours and ink types. 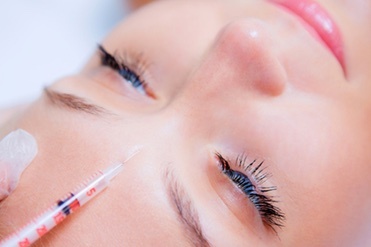 Relaxing Wrinkle injections can be used in areas such as, the forehead, crows feet and glabella. Due to facial expressions; lines are especially common in all these areas. Intimate medicine brings together all the treatments of the vulvovaginal sphere, whether functional or aesthetic. Micropigmentation or semi-permanent make-up is a revolutionary method of tattooing pigments into the dermal layer of the skin. Consequently; defining your eyelids, eyebrows and also lips creating a fuller look.